Taking into account their extremely antagonistic history, the chances of an electoral alliance between the Congress and the Aam Aadmi Party (AAP) would normally be somewhere between zero and none. 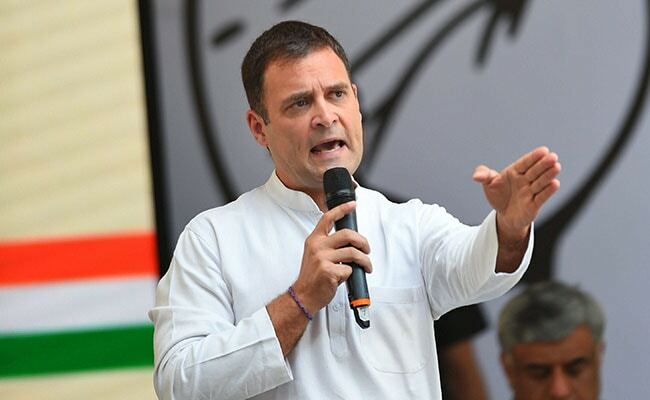 However, in the post-Balakot political scenario, both parties, with more than a little coaxing from other opposition leaders, have managed to put past slights aside for the moment. There have been no dearth of leaks and postulations of what such a deal might resemble, but the only thing we know for sure is that at its broadest, the basket of seats on the negotiating table are the 31 Lok Sabha seats of Delhi, Haryana, Punjab and Chandigarh. Starting with the least plausible, an agreement about Punjab's 13 seats is almost entirely ruled out with Chief Minister Amarinder Singh making his antipathy towards AAP loud and clear. The state looks headed for a Congress sweep and AAP's Punjab unit is in a very weak position after months of internal strife and splits that have sapped cadres and evaporated goodwill. Additionally, the threat from the NDA in the state is unlikely to be great with the Akali Dal matching AAP's troubles and the state BJP reduced to such a non-entity that the list of celebrities refusing the Amritsar seat grows longer by the day. The only possibility of unofficial cooperation could be in Ferozepur, where Sukhbir Badal is likely to stand, and Bathinda, where Mrs Harsimrat Badal will attempt reelection. Sheila Dikshit has made her issues with the AAP clear, including the fact that they have spoken poorly of former prime minister Rajiv Gandhi during a discussion in the Delhi assembly. Chandigarh's single seat is a source of great sorrow for me, having been part of Gul Panag's stellar campaign five years ago, which inspired the youth and brought a jolt of energy to my sleepy hometown. Well, this time, AAP has decided, for reasons beyond my comprehension, to nominate a candidate that is the opposite of Gul in every way. Not to be outdone, the Congress has re-nominated Pawan Bansal, who makes even the AAP candidate seem like a Kennedy in comparison. The BJP is yet to announce a candidate but I would be surprised if they didn't re-nominate Mrs Kirron Kher. In case AAP pulls its candidate out of the race, it would certainly improve Bansal's chances. There seems to be a consensus about Haryana amongst the leaders of all concerned parties: that as of now, the BJP is highly likely to win all ten seats once again. Considering this dire prospect, the Congress really has nothing to lose by showing flexibility to the demands of AAP and its ally, the brand new Dushyant Chautala-led Jannayak Janata Party that had a surprisingly strong showing in the recent Jind assembly by-election. 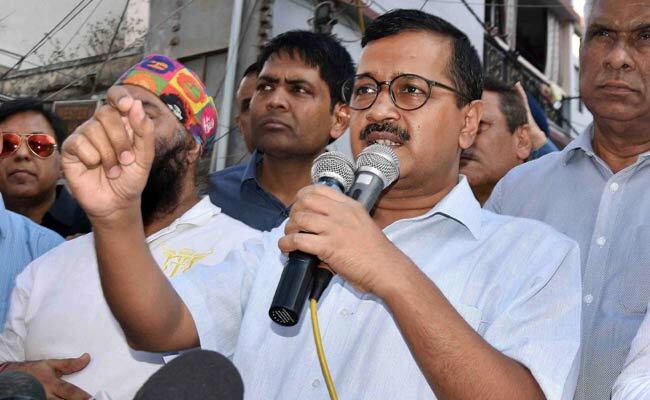 Arvind Kejriwal has made it crystal clear that any seat-sharing in Delhi would have to include Haryana, his home state. It's a deal breaker. AAP is looking for a seat like Faridabad or Gurgaon within the National Capital Region or NCR, to most effectively leverage its organizational strength from Delhi. In terms of basic electoral arithmetic, the logic for an alliance in Delhi between AAP and Congress is overwhelming. The voter base of both parties is complimentary and combined, they would likely win as many as five and possibly all seven of Delhi's seats. Since the BJP currently holds all seven seats, it would be a massive coup. 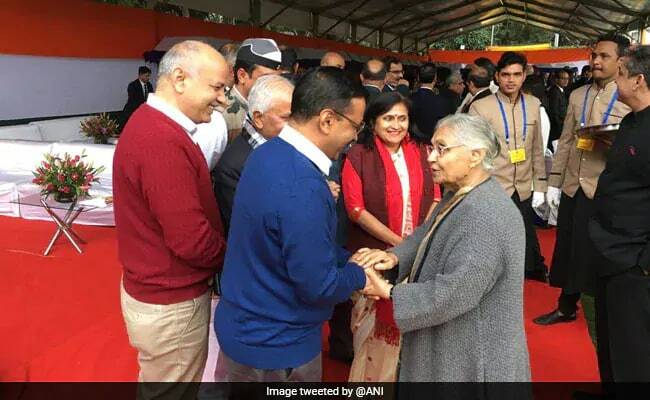 The problem, however, is interpersonal with Mrs Sheila Dikshit seemingly still unable to forgive and forget. In her defence, not only did she lose the Chief Ministership to Shri Kejriwal in the highly contentious 2013 assembly election, but he trounced her in the New Delhi assembly seat by polling twice her vote tally. That's got to leave a scar. But maybe she should learn from her colleague Ajay Maken, who presided over Congress Party's whitewash in the 2015 assembly election, but is now an avid votary of an alliance with AAP. 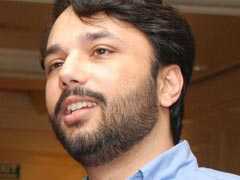 The Congress is hoping for three seats for itself: Chandni Chowk, New Delhi, and North-West Delhi. I don't think AAP would have any trouble with Kapil Sibal standing from Chandni Chowk or Ajay Maken from New Delhi, but it is reluctant to part with the North-West Delhi where it is increasingly confident after a recent string of successful jan-sabhas. That would likely leave West Delhi for Congress, assuming AAP receives satisfaction in Haryana. Delhi voters could gravitate towards a national party like Congress. As you can see, AAP and Congress leaders will have to successfully navigate a thicket of issues before they can come to an agreement. Difficult, but not impossible. We'll just have to wait and see. However, all the 31 seats in question, of which the NDA won 24 in 2014, will vote in the last two stages on May 12 and 19. So to some extent, the luxury of time is granted. But AAP are known for their impatience and this does not match well with the glacial durbar decision-making of the Congress. In Delhi, AAP have already completed the first phase of campaigning that involved weeks of jan-sabhas across Delhi with Arvind Kejriwal leading from the front. I happened to attend one of his jan-sabhas in North-East Delhi a week or so ago and it was a pleasure to watch; he is certainly at his best in the jan-sabha campaign format. He was in complete command of his audience and his campaign message. But even he realizes that in a parliamentary election, Delhi voters will ultimately gravitate towards a national party and that is why an alliance with the Congress makes complete sense. The repercussions of an alliance between AAP and Congress in the national capital and Haryana would be much wider than merely in the states involved. It will solidify the vision of a pre-poll opposition coalition as a viable choice for voters across the country in a way no other regional alliance has so far been able to, because it's normally the case in an Indian general election that as Delhi votes, so does the nation.